What is the best cranberry juice in the bar? "What is the best cranberry juice?" I would loved to just let him know the brand - however it is not that easy. What do we understand of cranberry juice? One of the biggest [maybe the biggest producer] of cranberry products is Ocean Spray. And: it is well regarded. Problem is: it is not a juice! Ocean Spray doesn't produce a juice - they produce a juice cocktail - which translates into a lot of water, a lot of sugar, some taste-balancers as citric acid [nothing against this really] and a minuscule portion of juice - usually around 3%. Yes they have something which is called 100% juice. Which is on one hand true, on the other the biggest deception ever. Because you don't get 100% cranberry - you get a mixture of juices of concentrate - most of the time apple and white grape and a bit of cranberry. There are also some other brands around, which might feature a higher fruit content. The Middle Eastern company Lacnor for example add 23% cranberry juice from concentrate to their product. It definitely taste more concentrated - but not much better. And then, there are the real juices. Very often they are organic [or bio - how e.g. Germans are putting it]. There are definitely 100% out of cranberry. A well known brand is Biona Organic. I tasted it and it is…ok. I think it is the best option, when it comes to "juice". concentrate. This would work for your home made nectars, or syrups or you could use it in very small quantities directly in your cocktails. Best technique would be, to put it into a dropper bottle and use just a couple of drops e.g. in a cosmopolitan. Anyways - if you ask for the best juice - I would opt for organic 100% cranberry juice like Biona. The fruit cocktails just taste watery and are not as good in cocktails. If you only require cranberry - but you are open, to mix it yourself opt for cranberry concentrate. You can make your "cranberry juice cocktail" - just adding sugar and water; you can make your cranberry juice, by adding a bit to apple or white grape juice. Or you can just add a few drops directly into your drink. 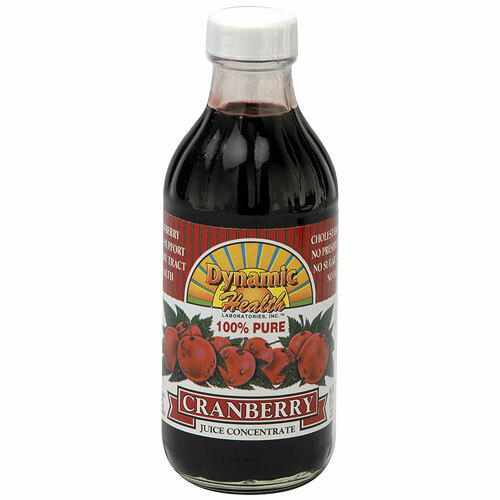 Cranberry tastes great when consumed without adding any sugar or any other fruit juice. I prefer drinking 100% pure Cranberry Concentrate Liquid in the morning instead of Coffee. This juice has a lot to offer to the health. I am not so sure, if I can attest, that Cranberry concentrate taste good. I would rather said the opposite (sour, pretty bitter, astringent) - however it is for sure healthy. But as mentioned before - it is a concentrate - not a juice!